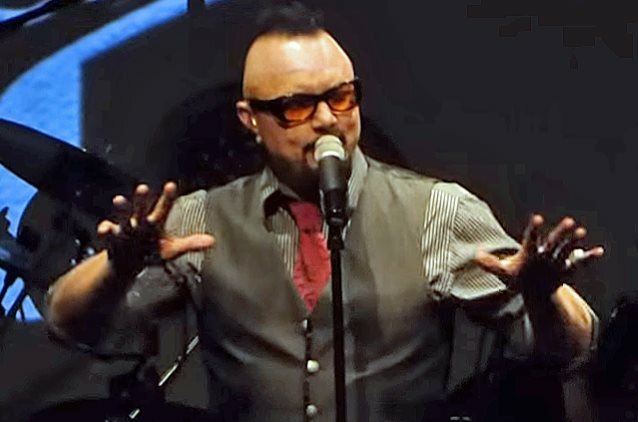 CJAM-FM's melodic metal radio show "The Signals Of Intuition" recently conducted an interview with former QUEENSRŸCHE and current OPERATION: MINDCRIME singer Geoff Tate. You can now listen to the chat below. Asked what other artists he is listening to nowadays and who his "muse" is at the moment, Tate replied: "I wouldn't say I have a muse at the moment. I'm pretty involved with my own stuff at the moment, which is typical for me. When I'm working on an album, I don't listen to anything else. I really honestly find it to be a distraction, because a lot of writing is mental — you've got a song in your head, or you've got a melody in your head, or you've got a rhythm in your head, and anything else coming in becomes kind of distracting to what it is you're trying to work on. But I like a lot of music. I think I probably own ten thousand albums in my collection. I've got everything — from classic stuff and R&B and jazz and pop music and metal to, you name it… show tunes. [Laughs] All kinds of stuff." OPERATION: MINDCRIME's next album, which has already been completed, will arrive in September.